There it was, fiery red, parked in front of the headquarters building in Neuss. After driving it just a few meters in the direction of downtown Neuss, Rene Gansauge is fired up, too. 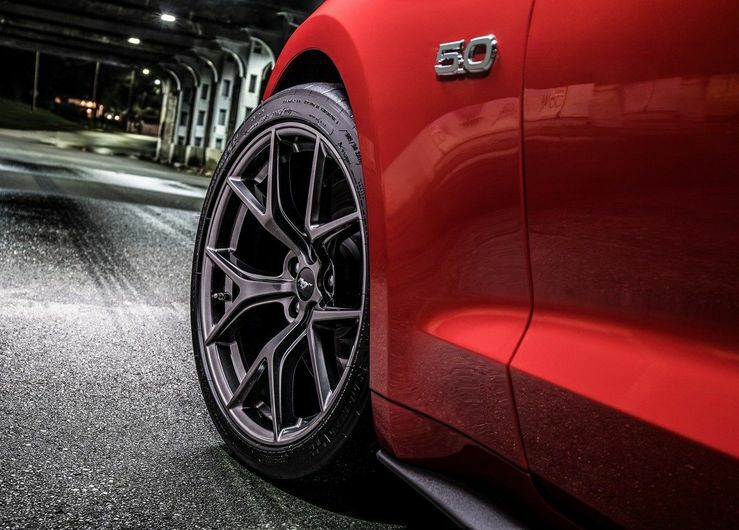 Most of all, it’s that special sound the engine makes when running on all eight cylinders that excites him. “Cool. 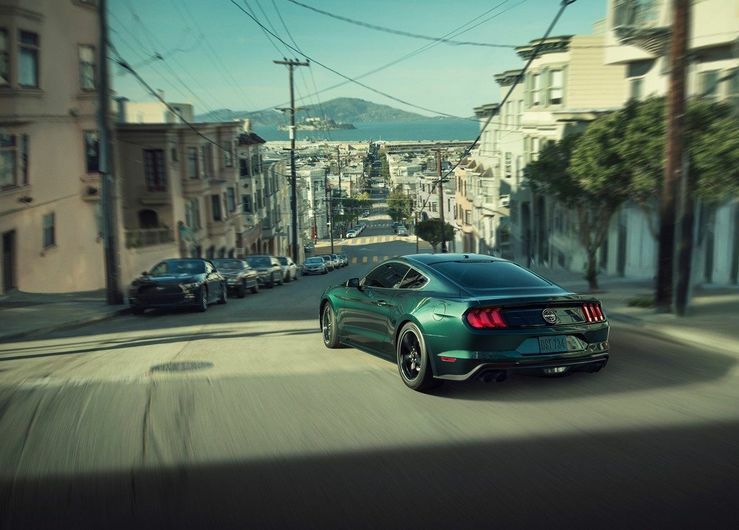 Nice sound, huh?”, he says, briefly spurring the Mustang on as he eases into the first curve. 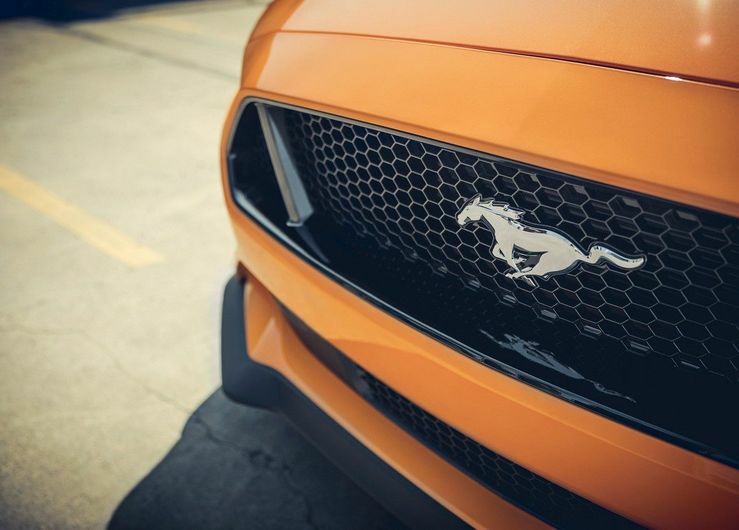 Waxing philosophical as he glances at his own reflection in the rearview mirror, he muses that “When you sit in a car like this, you smile the whole time.” To the passenger seated next to him, it’s soon clear that that this isn’t the first time Gansauge has driven a Mustang. 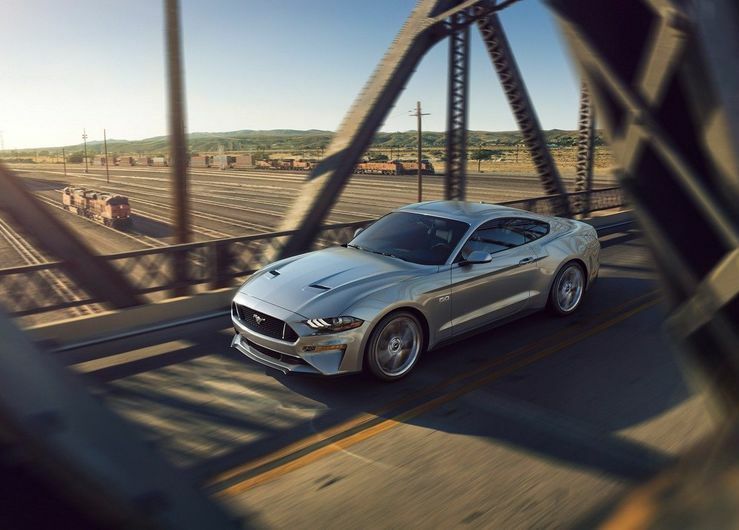 “Cars are intimately connected to sound”, he declares – and this is especially true of automobiles like the Ford Mustang. With five liters of cubic capacity and 450 HP, by German standards this is already a big engine; in America, though, there are even bigger variants. For example, the classic ivory-green Mustang convertible he brought back from the States with him in 1965, with its whopping 4.6-liter displacement. Even at a time when e-mobility is playing an ever more important role at Rheinmetall Automotive, for Gansauge it’s clear that work to perfect and optimize conventional engine concepts still needs to proceed in parallel. This explains why there’s a Ford Mustang in the meantime with a four-cylinder engine (not that it’s exactly underpowered at 370 HP). 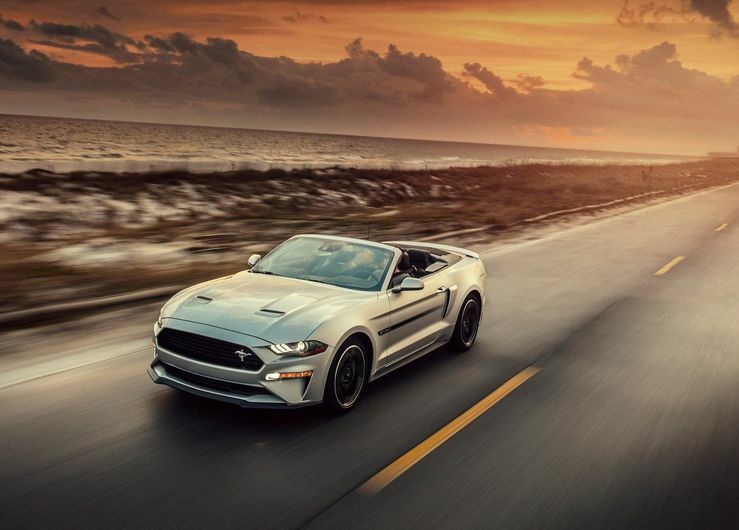 The mother of all “pony cars” — the Ford Mustang has two namesakes: the wild horse of the American West and the P-51 Mustang, a World War II fighter plane. In America, the Woodward Dream Cruise was one of his favorite leisure pursuits, an event in the Detroit area attracting over 100,000 auto enthusiasts, mostly with unusual vehicles, ranging from vintage cars to the latest models. This, he says, “was my event”, which he happily visited over and over again, eager to see as many cars as he could. (By the way, he still reaches for the wrench himself from time to time, recently changing the fuel pump in his Mustang.) Born in Moers (just north of Krefeld on the lower Rhine), from the age of 11 Gansauge grew up in the Sauerland district south of Hagen in the Ruhr Valley. It was here that he began his career as an apprentice machine toolmaker, followed by a year of mandatory military service in the Navy, during which he made it as far away from home as Bermuda. After returning to civilian life and now back on the job, he sensed that it was time to make something more of himself. In his mid-twenties in the meantime, he hit the books. At night and on the weekends, he continued to pursue his vocation, enabling him to finance his Abitur before going on to study industrial engineering. Rene Gansauge is responsible for all of Pierburg’s global Mechatronics activities. 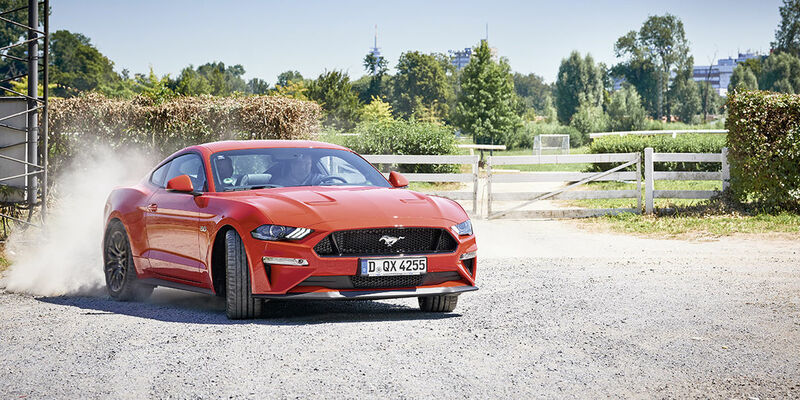 Meanwhile, the brand-new 2018 -Mustang sped past the Pierburg plant by the riverport, heading for the racetrack, where a number of horses were being put through their paces ahead of the next race. The Pierburg chief continued his tale. In 2013, he and his family – by now he had a 9-year-old son – returned to the United States, where he headed the Group’s Mechatronics operations in North America.